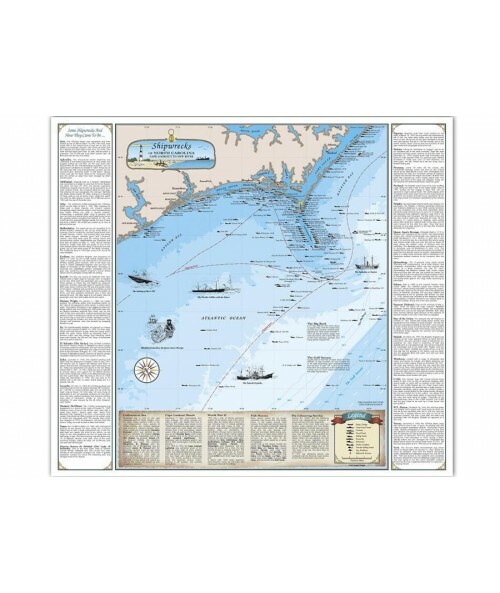 Chart course for your next adventure with this North Carolina shipwreck map that maps downed vessels from Cape Lookout to New River! 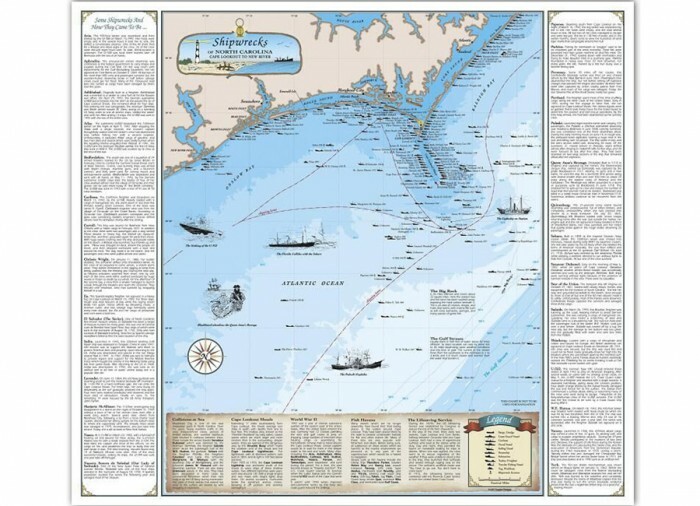 This beautiful, full color piece contains information on over 200 shipwrecks along the North Carolina coast. Not only will you see where the famous shipwrecks are located but included in the map are 31 stories about how these shipwrecks came to be! 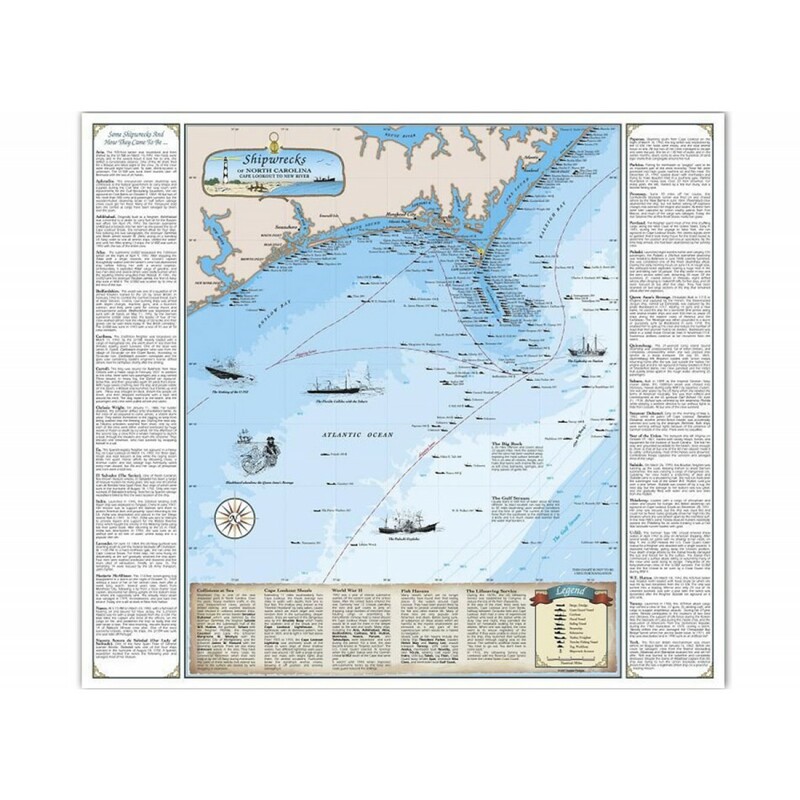 Printed on quality 80lb enamel paper, this map measure 18.75" x 20" and is available in either plain paper or high gloss laminate. Easily hangible and ready out of the box. Hang up in your office or home. Ships in protective tube to keep map safe. Size : 18.75" x 20"
Previous experience EXCELLENT! :) I would be happy to use Kellyco again. Please keep me on your sales list for the newspaper catalog. I was online looking at Kellyco's web site looking for the best deal! And found it! Thanks Kellyco, you are the best.